For still many unfortunates, who have never owned an iPhone, it seems like a strange unexplained device. While sliding their fingers across the screen to the disappointment of spectators, iPhone still remains a s supernatural device, much complex than an ordinary cell phone.Remember that the purpose of a myth is to help people feel less lost in the world and help explain things that they are unable to enlighten otherwise. A number of iPhone forums and blogs state that one of the most widespread myths about iPhones is that they are easily scraped. And nobody likes an over profusion of scratches and dings on their smartphone. However, talk to just about any iPhone user, and you’ll find that the iPhone is no more likely to scratch than any other cell phone available. With normal circumstances, it’s predictable that the iPhone will display a few defects. However, so does every other cell phone. With a protective screen coating and proper care, it’s likely you’ll not be overwhelmed by the “scratch-ability” of the iPhone. 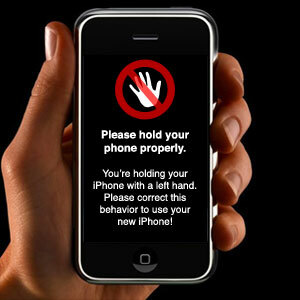 Jailbreaking is a process by which cell phone users can hack into the operating system files of their iPhone. After jailbreaking, users can activate the phone with a service provider besides AT&T or Verizon, and access apps from sources, other than iTunes. The process will void any warranty on your iPhone. 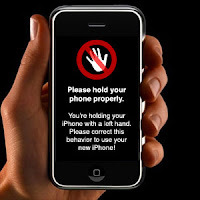 However, for a long while it was rumored that jailbreaking an iPhone was illegal, but in summer of 2010, the U.S. government confirmed that people are well within their legal rights to jailbreak an iPhone if they are compelled to do so. But forget about any warranty service at the Apple store. This “outrage” was hailed as “Antenna-gate” during the release of the iPhone 4. It seems that some users were having issues with the iPhone dropping calls while placing their hands around the phone to talk and, thus, covering the device’s external antennas. Sure, some of the early iPhone 4 customers may have experienced trouble, but by in large, it seems that users are having no more antenna issues. Have you ever taken a photo, or checked an e-mail on your iPhone and just wanted to hit the “print” button. But, printing wasn’t an option? 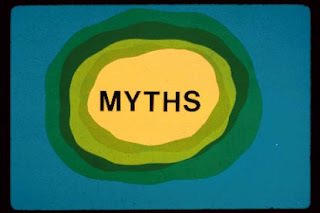 This “myth” was true, until recently. Besides e-mailing yourself documents and printing them at a later time, from a different device, material was stuck in electronic copy on your phone. However, in late 2010 Apple released AirPrint with its iOS 4.2 update. Via AirPrint, iPhone users can set their phones to print directly to a printer. Unfortunately, AirPrint only works with a limited number of HP brand compatible printers for the time being…But we’re getting somewhere! Completely wrong! As we’ve shown you the results of the different researches time and time again, there are thousands and thousands of fantastic FREE apps for downloading in the iTunes store. Whether you’re searching for children’s apps, cooking apps, gaming apps or simply random apps, there is a great selection of free and also for low cost apps. There’s so many great free apps, that the iTunes store offers an ongoing listing of the current best free apps!